Gulfstream Aerospace has revealed that its new longer-range G650ER development of its hot-selling G650 business jet, announced on Monday at EBACE, visited Melbourne as part of two record-breaking high-speed validation flights. The new G650ER is designed to be able to fly 7,500nm (13,890km) at Mach 0.85, or 6,400nm (11,853km) at Mach 0.90, an increase of up to 500nm (925km) over the standard G650, and its capabilities were recently demonstrated when a test aircraft set the two unofficial world speed records in early March. The first flight saw development aircraft N650GD fly 6,947nm (12,866km) from Los Angeles to Melbourne at an average speed of Mach 0.86. Gulfstream says the flight, despite headwinds of up to 13kt, took 14 hours and 58 minutes. The aircraft then repositioned to Hong Kong, from where it flew 7,494nm (13,879km) to Teteboro, New Jersey at an average speed of Mach 0.865. The two flights have been submitted to the US National Aeronautic Association for validation before in turn being submitted to the Fédération Aéronautique International for confirmation as world records. 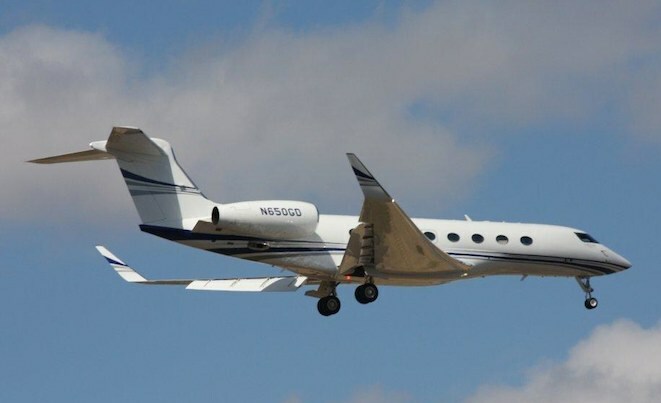 The G650ER shares the same cabin, avionics and other key systems with the G650 but will offer a 1,815kg increase in fuel capacity and MTOW, and is currently undergoing Federal Aviation Administration certification. Current G650 owners and order-holders will be able to upgrade their original G650 to a G650ER beginning in the first quarter of 2015. That is some achievement for a “small” business jet. How will they plan rest for the crew so they are awake for the landing?